Des collectors Emagic : Ã§a vous intÃ©resse ? Logic 8 : Une nouvelle piÃ¨ce au puzzle ! There will be no Logic 8!!!!! The new app will have a new name. They are working on it for 5 years and it will be out this year. It will be a “Pro Tools Killer” with a Logic feel but in a new user interface and take advantage of OSX.5 (it will need it and don’t work on X.4 or prior) and new Apple hardware (touch screen display!). Will There Be No Logic 8? I know enough to say this: the successor to Logic may be a huge upgrade, and may even have a new name, but it’ll still be aimed at musicians and will likely remain connected to the core of Logic and GarageBand. Beyond that, we can say anything we like and amuse the people at Apple (a number of whom read this site); they know more than we do. Does Apple still care about music? Apple has expressed real commitment to me to the music market — and by music market, I mean musicians, not just the nebulous “pro audio” or people doing audio post for its more lucrative video market. I do expect them to go after this audience more aggressively in an upcoming release. I also know Apple knows that its users haven’t been entirely happy with elements of Logic’s interface and design; long-time users master and love it, but some tasks are harder to perform than they should be. 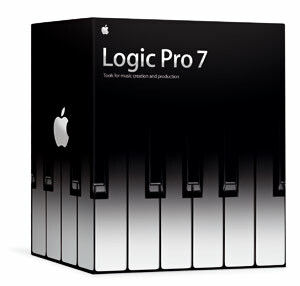 Logic 7 made big steps to making this app more Apple-like, but it’s obvious they’ll continue to work on that. What about release dates? Why are Logic — and iLife ’07 — delayed? Well, I heard from Apple developers — as from everyone else — that porting Logic to Intel Macs required some effort. It makes sense that that would have delayed the rest of the development pipeline. And it’s a safe bet to assume that Apple began looking at the big picture plans for Logic at the time of the acquisition of the software. All of us were speculating at Macworld Expo that the absence of iLife ’07 meant Apple would have its consumer app upgrades coincide with Leopard, to take advantage of new graphics features. That makes sense for iPhoto and iMovie, but it’s unclear what it would mean for something like Logic. I do know something about the graphics developments in OS X 10.5, and Core Animation and Quartz Composer integration look like they will impact a lot of applications from Apple and many third-party developers, as well. Anything with eye candy in it will get a huge boost. But as for music, that’s less clear. Is Apple readying a new app? Maybe they’ll change the name; “Logic” sounds German and electronic music-related. (Doesn’t it just make you want to make some minimal techno? And Vulcans dig it.) But I seriously, seriously doubt this will be an entirely new application. Look at it this way: GarageBand is an entirely new application, but it’s also based entirely on the underpinnings of Logic, from its notation facility to looping to EXS24 sampler support, GarageBand is Logic Pro 7 with a different face. This proves two things: first, it’s possible to radically change Logic without altering its core or backwards-compatibility, and second, Apple would be unlikely to abandon that core because it would hurt both Logic and GarageBand. Will it have a touchscreen? This seems like wishful thinking, but there’s one reason to believe it might be true. Apple’s iPhone turned out to be just a phone/iPod/browser, so I doubt you’ll be integrating it with Logic, much as we might like. But remember Apple’s multi-touch tablet patent? It specifically showed a music mixer application. This could mean one of two things: one, it was a research idea that got abandoned, but spread through the grapevine starting this rumor. Or, two, maybe we will see a multi-touch music controller from Apple. It’s an extremely unlikely possibility, but I wouldn’t rule it out entirely, especially with multi-touch tech getting used on the iPhone. Does this rumor hold weight? There’s really no way of telling. Apple has, bar none, the tightest ship in the industry as far as information leaks, so usually if you hear information from a non-official source, chances are it’s wrong. Moreover, a lot of rumors are based on real information that’s outdated or distorted. But you knew that. How about that music touch screen / hardware rumor? Multi-touch Apple music interface? Non-Apple music keyboard as a pet project of Emagic founder Dr. Lengeling’s? Nothing at all? Hard to say. Rumor mull, anyone?